Described as a reassuring presence in court, Helen has a knack for calming nervous clients and of working with those suffering from mental health disorders. 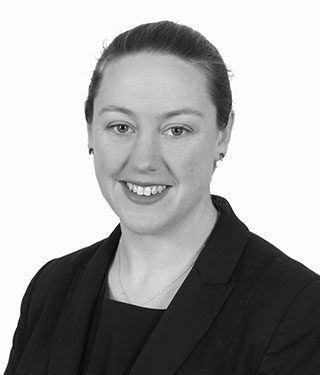 Combining this with thorough preparation and a persuasive manner, she has built a busy defence practice since completing pupillage at One Inner Temple Lane in November 2015. Following the merger of One Inner Temple Lane and 2 King’s Bench Walk in January 2017, her London based practice has expanded to include regular appearances on the Western Circuit, particularly in Portsmouth and on the Isle of Wight. While the majority of her practice is in the area of general crime, she has a particular interest in the increasing use of technology in the commission of offences and how this is impacting the types of evidence in court. With a strong background in mobile telephone and cell site evidence, she is also familiar with the concepts behind deep and dark web, cryptocurrencies such as Bitcoin and the incoming internet connection records regime. For the past five years Helen had delivered courtroom skills training across the country. Having worked with a range of professional bodies and independent companies over this time she is now in demand as a speaker, particularly at events focusing on mobile phone and other forms of digital evidence. A firm believer that training should never be “death by PowerPoint” she mixes personal experience with lessons learnt from wider communications data community to provide bespoke training for every audience. Having now served for over sixteen years in the Royal Navy, as an aviator in the Fleet Air Arm and now as a Submarine Controller with the Royal Navy Reserve, Helen has an in depth understanding of the pressures faced by service personnel and their families. From personal experience, she knows how difficult it can be to make safety critical decisions in high pressure situations, and how hard it can be dealing with the problems of day to day life when your loved one is deployed. R v L (Portsmouth Crown Court) – Led junior defending a client charged with importation and supply of class A drugs via the dark web. R v M & G (Portsmouth Crown Court) – Defence of a youth jointly charged with an adult of committing grievous bodily harm with intent. R v M (Portsmouth Youth Court, certificate for Counsel) – Defence of a youth charged the random stabbing of a taxi driver at night. This case included legal argument to exclude the full confession made by the defendant in interview due to the unusual circumstances surrounding the confession. R v J (Inner London Crown Court) – Led junior for the first defendant in a multi-handed kidnap, false imprisonment and blackmail trial. Instructed due to the extent and complexity of the mobile phone evidence relied upon by the Crown. R v P (Court Martial) – Successful defence of an officer accused of sexual assault against a fellow officer while in training. The matter was stayed as an abuse of process on the first day of trial. R v R (Court Martial) – Defended an officer charged with multiple counts of JPA fraud. The defendant was reprimanded (the equivalent of an absolute discharge) following pleas to the lesser, service disciplinary, offence of making a false records being accepted. R v R (Croydon Crown Court) – Defended a youth jointly charged with an adult of conspiracy to supply class A drugs. A plea to possession with intent to supply of a small amount of drugs was eventually accepted by the Crown after challenges to the mobile phone evidence were raised. R v R (Highbury Corner Youth Court, certificate for Counsel) – Defended of a 15 year old charged with three counts of attempted grievous bodily harm with intent. Although convicted, the defendant was sentenced in the youth court following substantial mitigation. R v W (Woolwich Crown Court) – Successful defence of a homeless woman charged with possession of a pointed article in a public place on the basis the item was used in the taking of drugs. R v A (City of London Magistrates Court) – Represented the defendant in a matter of wasting police time where the case rested on Skype and other computer records. R v H (City of London Magistrates Court) – Counsel for the defence in a matter of a £19,700 benefit fraud. Substantial personal mitigation put forward resulting in a fine of £250 rather than custody being imposed. Member Great Britain Rifle and Pistol Squad 1999-2003. Competed at the 2002 World Championships, Lahti, Finland and acted as the Assistant Squad Manager for the 2006 Nordic Championships.